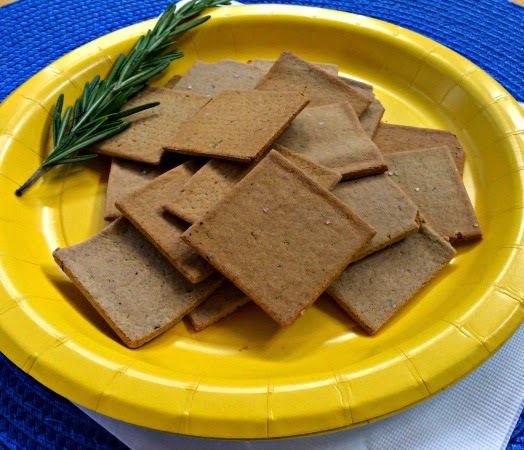 These GF/DF and Grain Free Rosemary Crackers are made with almond flour which is a great gluten free alternative to regular flour. Not only does it taste delicious, I like to remind people that eating a few tablespoons of it is just like eating a handful of almonds. Just like almonds a small serving goes a long way in filling you up! Once you see how easy it is to make these crackers, you will be hooked. For this recipe I added some rosemary and sea salt, but there are endless other variations you can make by adding your favorite spices and herbs. You can even make a grain free "everything cracker" which is one of my other favorites. 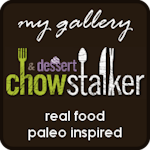 Additionally, for those following the paleo lifestyle these are a great way to add some crunch to your diet! Preheat the oven to 350 degrees. In a small bowl, lightly whisk the oil, egg and water to combine. In a larger bowl, combine the rest of the ingredients into a uniform dry mixture. Add the wet ingredients to the dry ingredients and stir well to combine. Once the dough comes together, use your hands to mix well and ensure a uniform mixture. Place the dough between two sheets of parchment paper and roll out to 1/8 inch thickness. Peel off the top sheet of parchment paper and place the bottom sheet with dough onto baking sheet. Cut into 2-inch squares and bake 12-15 minutes until lightly golden around the edges. Let cool at least 15 minutes before serving. Store in the refrigerator up to one week, or at room temperature up to two days. Oh wow, this seems so easy! I am definitely going to have to try making crackers now!